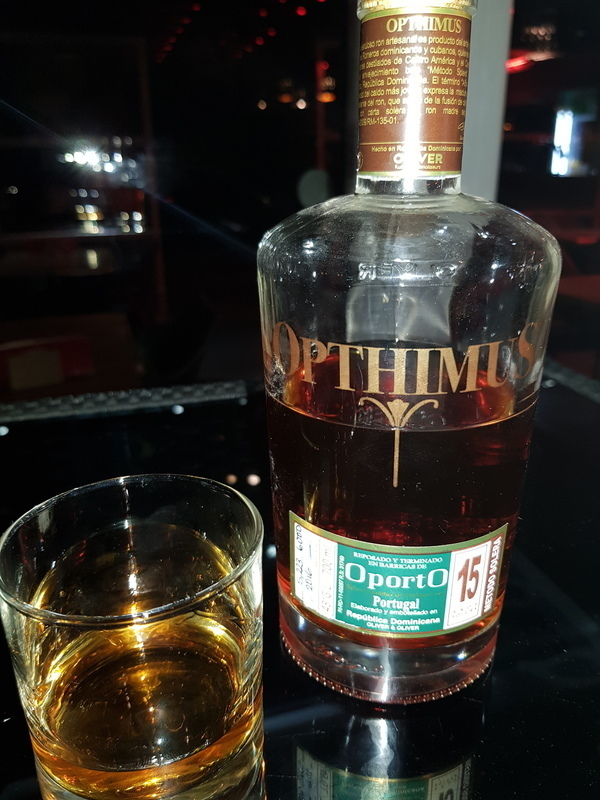 Have you found an online vendor selling Opthimus 15-Year Port Finish? Fin nok rom, anelse sprittet. Rigtig fin rom, der er dufter ret sødt, men er en anelse mere ‘sprittet’ end forventet. Den har rigtig god og rund og varm eftersmag. La finale laisse une légère saveur d’alcool et fumé, reste doux dans la longueur. I generally like rums with the "finish" title... always it adds a new flavor. This one is especially sweet and smooth after the Port casks, you can smell it, you can taste it. One glass is enough to enjoy. Je ne connaissais pas du tout la gamme Optimum! J'ai découvert la marque par ce breuvage qui m'à vraiment séduit! Son nez comme sa bouche sont vraiment intéressants! Really nice glass, mouthfilling, great long taste, sweet but not overly sweet. Well balanced price/quality. To be honest i did expect more based on the price and it is produced by Oliver & Oliver. The price was almost 65 Euro for the bottle and I could get better Rum for that money. But is still good! round with long aftertaste but I miss the little extra to it. I so - and that's why I like this rum. In the nose: Vanilla and Caramel. The palate feels chocolate (toffee), vanilla and coffee. Then a long, smooth finish of Port. Excellent. Taste: Sweet, but not overly. Interesting flavors from the port finish. Caramelized fruits and some to me undefined notes (spices). A lot of potential, but its a bit too sharp and the aftertaste dies too soon. Opthimus 15-Year Port Finish Rum er mere "sprittet" end andre rom jeg har smagt. Man virkelig smage portvinsfadet (røg), god duft og smag, men den bliver ikke genkøbt, dertil er den dog for speciel.